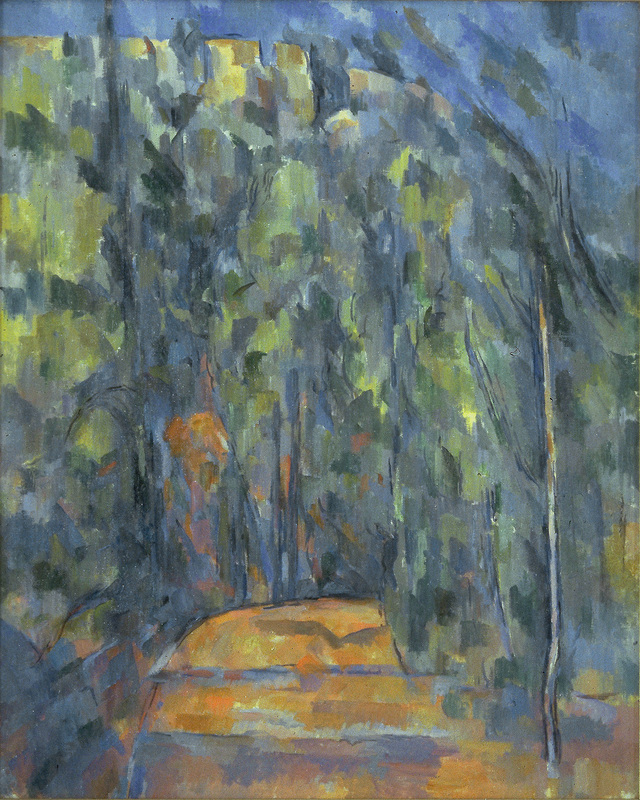 In the perfectly finished La Route tournante en sous-bois – that is, begun to all evidence with detached patches and woven together into a tight fabric without the slightest difficulty – color attains a greater importance than the forms; or better put, its forms are created by patches of color which remain distinct and call attention to their integration. The cobalts of the sky, for example, reach down into the yellow-greens of the leaves, setting up an incandescent tension between the warm and cool hues. The turn in the road is outlined clearly, as is the curve in the cliff above (with a few branches sketched in to prolong the cliff on the right), so that the two simple curves balance each other.